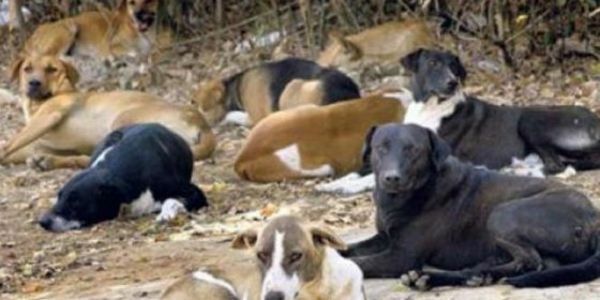 petition: Saint Lucia is "cleansing" Street Dogs as there's no Rescue Centre to save them! Saint Lucia is "cleansing" Street Dogs as there's no Rescue Centre to save them! Why should they have to live on the streets...? Because they are abandoned and there is nowhere for these dogs to be rehabilitated and rehomed as the house pets they so willingly become. So we simply "cleanse our streets" instead. Saint Lucia needs a Government-sponsored Animal Rescue and Welfare Education Centre - now! The Castries Constituencies Council (CCC), Saint Lucia, West Indies, has employed a security company to rid the streets of Castries of its stray dogs - a long-held problem of animals that no-one apparently cares for nor wants. The St. Lucia Animal Protection Society (SLAPS), a volunteer organisation which, in over twenty years, has not succeeded in resolving the problem (even with their neutering programmes) because they have nowhere to house the animals they rescue and rehabilitate, so merely return them to the streets or beaches - and so the problem persists. The Saint Lucian Government (@SaintLuciaGov) does not fund any of the well-meaning volunteers or the SLAPS organisation, and there is NO ANIMAL SANCTUARY IN SAINT LUCIA. They need to step up to the plate and make available a suitable property with land and buildings in Saint Lucia for this specific purpose. Time is running out for these poor dogs as they are about to be killed (most probably by shooting) because there is nowhere for them to be placed. Their only fault is that they inhabit our streets in search of food, often abandoned by irresponsible owners and breeding the next generation of strays. Now they will be put to death because they are bad for the tourist industry. ACT NOW and let the Saint Lucian Government know it MUST provide a suitable property for an ANIMAL SANCTUARY IN SAINT LUCIA - but hurry because they are "cleansing the streets of Castries" now! Tell them to stop and do the right thing for these innocent animals, many of whom would make wonderful, loving pets given the chance... I know as I have rescued several, but I am just one person and it's never enough! No-one wants stray dogs and cats on our streets, but killing is not the answer. Educating to care for these animals is. We need a centre for that, so Please Sign To Save Our Dogs - the Government must provide Saint Lucia with the means for a properly run ANIMAL SANCTUARY & WELFARE EDUCATION CENTRE! So join together and make a stand to STOP INNOCENT STREET DOGS BEING *CLEANSED* IN CASTRIES, SAINT LUCIA! This open letter speaks on behalf of every concerned person who is appalled at the recent actions of the CCC and the Government of Saint Lucia in "cleansing the streets of Castries" of its stray dogs. As you are aware, the long-established and well-meaning St. Lucia Animal Protection Society (SLAPS) rescues many abandoned and stray dogs and puppies every day of the year, and it is an overwhelming and ceaseless task. It is many years since they had a centre of any description to house such rescues, and they rely entirely on the generosity and open-heartedness and homes of individual "foster carers"; but they are few in number, and such a situation is, at best, a temporary and unsustainable solution. This being so, and despite their opposition to your plans, they have been unable to provide an alternative to prevent your proposed "cleansing" operation. Imagine how Saint Lucia will be thought of worldwide for killing its lovely street dogs, just because they are considered an inconvenience (there is no "humane" death for an animal with the right and the will to live - and these dogs respond so well to love and care) - and who created that "inconvenience" in the first place? - Saint Lucia did! And Saint Lucia must put it right. Please do not kill these dogs, but instead give Saint Lucia the means to rehabilitate and rehome them. Find it in your heart to see that there is another way - and the world will thank you for it. This open letter speaks on behalf of all animal lovers everywhere, and they thank you for taking the time to reconsider and revise your pledge from "cleansing" to "conservation and caring".